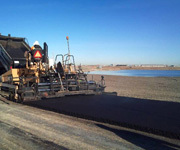 The Best Company for Paving, Calgary! No job is too big or small for A & A Paving! We have been serving Calgary with our quality paving services for over 35 years. 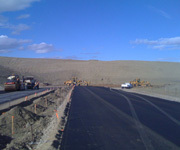 We do paving in Calgary for subdivisions, major roads, commercial parking lots, general contracting and more! The combination of our expertise, customer service and pricing is unmatched by any competitor. All of our clients are long-time clients, once they experience our paving services they never look to hire an alternative Calgary paving company. Every job we complete is ALWAYS completed to the utmost of standards, and a job is never complete until our customer is completely satisfied. Every job, big or small, is handled by our team with the same meticulous attention to detail. We invite you to take a look at our gallery to see some of our work! How to Choose the Best Quality Paving Contractor in Calgary? Speak to the contractors, are they knowledgeable about the services you require of them and are they aware of new technologies? Does the company have picture of previous jobs? Seeing examples of the quality of their past projects can help you determine if their combination of pricing, service, and quality of work meet your standards. Speak to the contractors, are they knowledgeable about the services you require of them and are they aware of the most up to date technologies and techniques? Ensure the company can provide you with the correct licensing and insurance and have a good reputation in your area. Protect yourself by only hire paving companies that can produce the proper certifications. 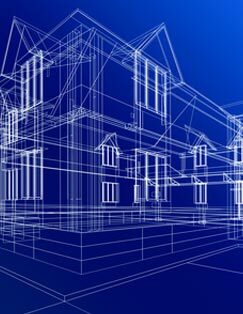 If it is available to you, try to visit the company's past job sites to get a firsthand look at the quality of their workmanship. For a quote or answers to any of your questions simply contact us using our online contact form or by telephone at 403-262-1999. One of our customer representatives would be more than happy to assist you. 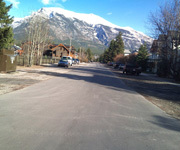 We look forward to hearing from you and being a part of your next Calgary based paving project!